The sweeping plains of Inner Mongolia are not the first place you’d look for signs of the next international luxury brand. But before you dismiss any notion that a significant label could emerge so far from the fashion world as we know it, a flashback through history: it was from here that Genghis Khan used the element of surprise to forge an empire that would dominate huge swathes of the then-known world. That company, founded 35 years ago, is also called Erdos and it accounts for over one-third of the world’s cashmere production. 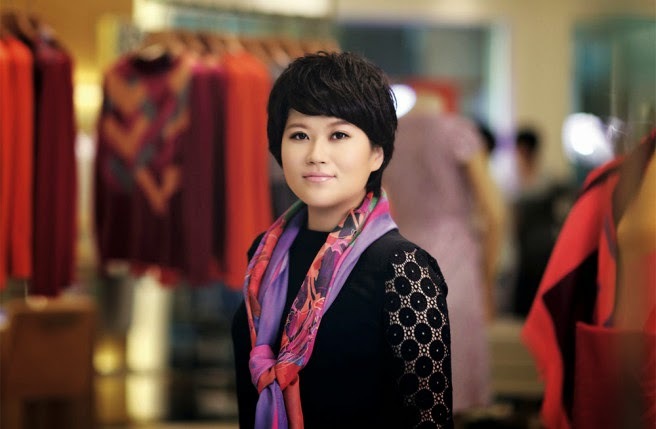 Erdos used to supply Hermès, Burberry, and Loro Piana; that it no longer does is due to its own requirements for 3,000+ eponymous stores across China. As for rolling a brand into the West, Erdos can certainly afford it. The Erdos Group (which also includes energy and metallurgy) is valued at approximately 60.8 billion RMB ($9.5 billion). Of course, if you want to woo the fashion crowd, you need more than a winning spinning formula. Wang, who admits, “I am not a very creative kind of person; I’m more like a management, strategy kind of person,” went looking for a fashion designer. In 2011, she appointed Graeme Black, the former creative director of Ferragamo, ex- Giorgio Armani ex-Hugo Boss, to give 1436 its aesthetic vision. That Black is Scottish is a considerable added bonus, given the Scottish cashmere story, with which he is very familiar, always begins in Inner Mongolia. 1436 products are established as the national gifts China presents to Heads of Foreign States. With the Edinburgh show, it went far further in polishing an international identity. “I think we could be in that great category,” says Wang. “Of course we’re not there yet; we’re still a young brand but I think we can.” As for whether the tastemakers will take to it, fashion’s famous early adopter, Joan ‘Mrs B’ Burstein of Brown's has already been spotted sporting a 1436 scarf.